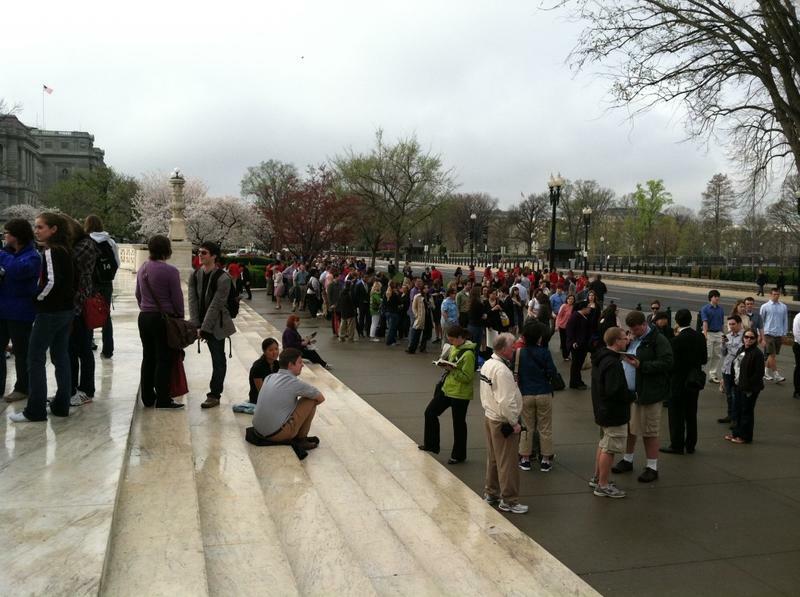 Outside the U.S. Supreme Court during oral arguments in the juvenile lifer cases in March 2012. Listen to the broadcast version of this story here. In his office in downtown Grand Rapids, Kent County prosecutor Bill Forsyth has stacks of boxes up against a long wall. They’re labeled and stuffed with transcripts, police reports, autopsy reports. “That’s about half of what I had when we started,” he said, motioning toward them. About a year ago, the U.S. Supreme Court said states had to review the cases of juvenile lifers who were sentenced before automatic life was declared unconstitutional. The court said automatically sentencing juveniles to life without parole was cruel and unusual punishment. Michigan prosecutors have to figure out which of the 363 people sentenced to life without parole should get a chance at freedom. Now Michigan prosecutors have to figure out which of the 363 people sentenced to life without parole should get a chance at freedom. That task was handed to them by the U.S. Supreme Court – which said automatic life without parole is unconstitutional for people younger than 18. As they go through those cases, the prosecutors also have to try to balance the rights of so-called “juvenile lifers” against the promises made to the victims of their crimes. That brings us back to Forsyth’s stacks of boxes. 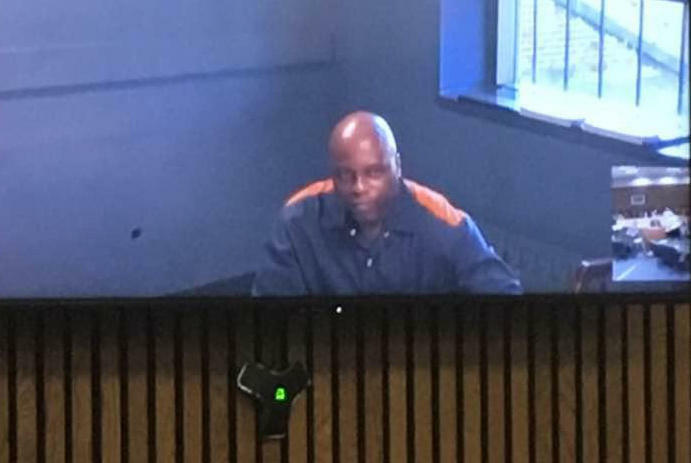 He and other prosecutors across Michigan have to decide which of the lifers from their counties should get a shot at parole. 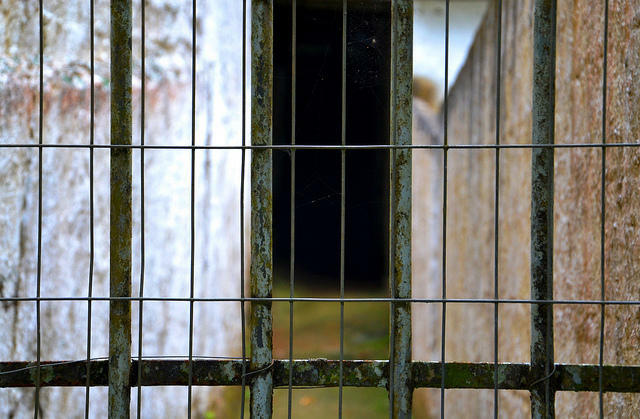 Inside those boxes are the stories of those inmates. But those boxes also hold the stories of victims and their family members who now have to revisit painful events they thought were behind them. That shock, of having a case opened up again is the reality of hundreds of people. 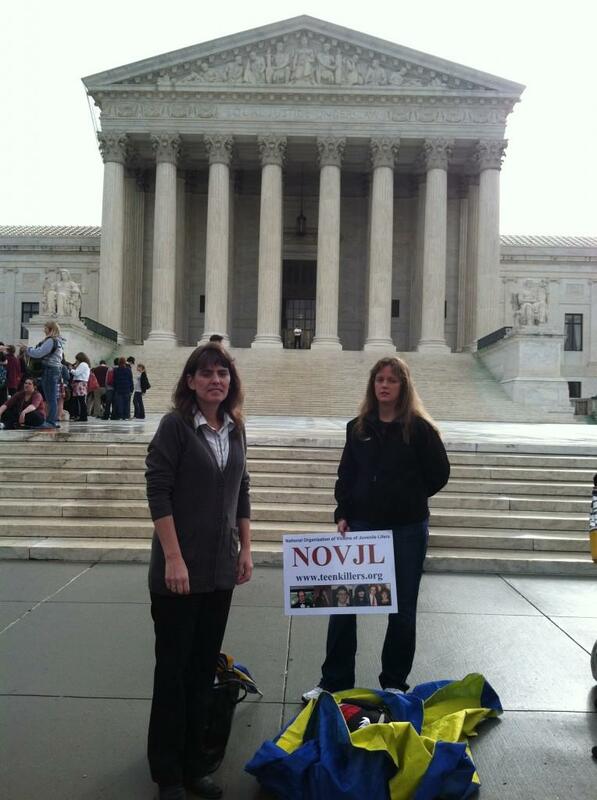 Murder victim family members Jody Robinson and Bobbi Jamriska at the Supreme Court in March of 2012. They were there representing the National Organization of Victims of Juvenile Murderers during the oral arguments in the Miller and Jackson cases. I met Jody Robinson at a diner. She showed me old, faded pictures that she copied onto her phone. “That is my dear brother, way back when, cause it’s been so long. But that is Jim, that’s who we’re talking about,” she said. Her older brother was killed in 1990. He was stabbed to death on Mother’s Day … on his way to deliver his mom a card. The defendants were then 16-year old Barbara Hernandez and her older boyfriend. Hernandez’s sentence is among the many cases in Michigan up for reconsideration. “What people don’t understand if they have never been through it is, you truly do go back to that day,” she said. This kind of pain is not lost on prosecutors, whose job, in part, is to seek justice for victims and their families. Jessica Cooper is the prosecutor in Oakland County. The Oakland County Prosecutor’s Office handled the Hernandez case back in 1991, before Cooper took office. Cooper is asking the courts to uphold the life sentences for 44 juvenile lifers, including Barbara Hernandez. But she still had to tell victims that their cases would be back in court. “While they may have moved on or, or at least have had some type of closure, that I was there to rip off that scab one more time and that was impossibly awful,” she said. "... I was there to rip off that scab one more time and that was impossibly awful." I meet Mara McCalmon at her two-story house in the Port Huron neighborhood that overlooks the bridge to Canada. McCalmon’s small, blind pug curled up in her lap. A German Shepard the size of a small pony laid nearby. In 2010, McCalmon and her husband were attacked in their home. Her husband was killed. The attack was orchestrated by their adopted daughter, Tia, who was a month shy of her 18th birthday at the time. The St. Clair County case has been appealed numerous times. 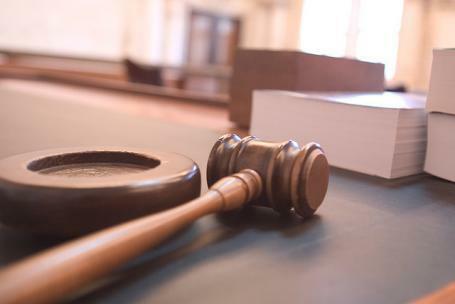 It’s currently waiting on whether the Michigan Supreme Court will hear arguments on whether judges or juries should decide resentencing for juvenile lifers. McCalmon says it feels like victims and their families have been disregarded in the debate over juvenile lifers. “In some respects it feels like when a horrible crime has been committed and years or time has passed, that we start – people, not we, because I don’t – people start turning defendants into victims and that’s really not easy to see or read or hear about,” she said. For victims like Mara McCalmon and Jody Robinson, that is the real cruel and unusual punishment. This story has been corrected. Jody Robinson's brother was killed in 1990, not 1991. 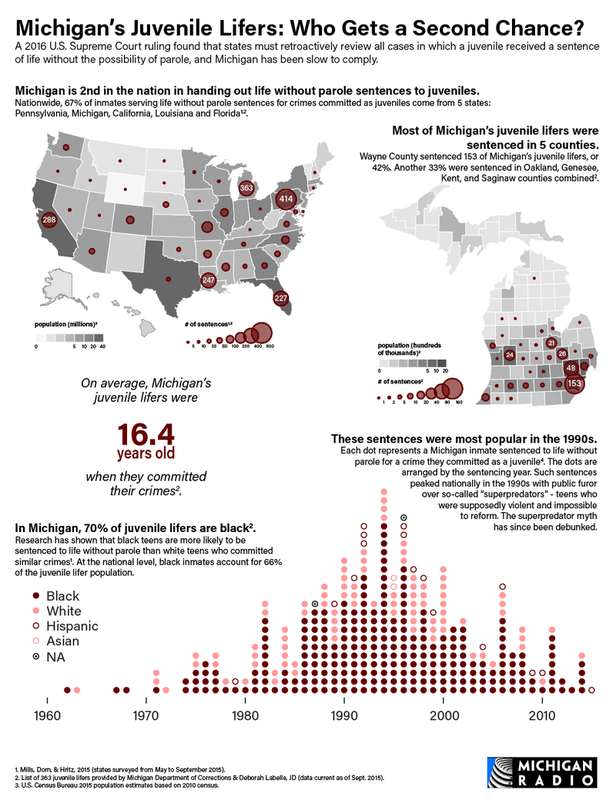 Michigan's Juvenile Lifers: Who gets a second chance? 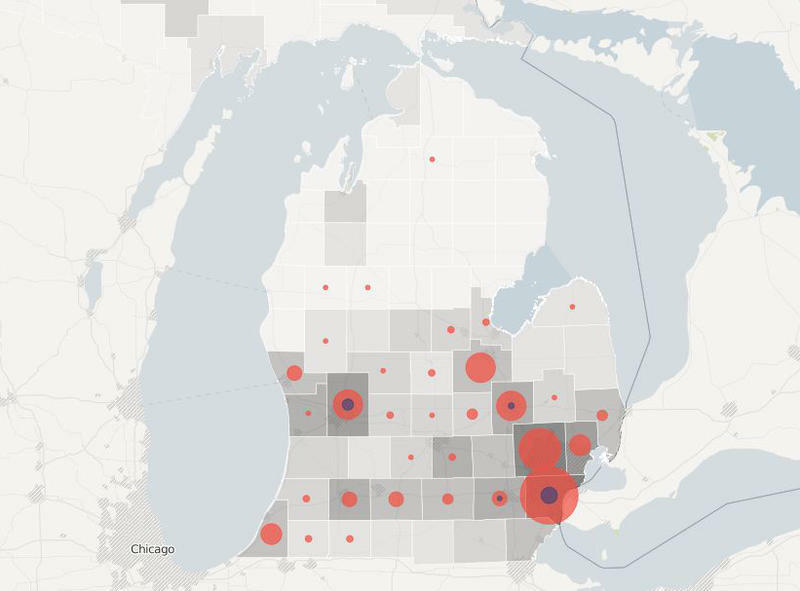 There are 363 Michigan inmates in state prisons closely watching how the state of Michigan and local prosecutors implement two U.S. Supreme Court rulings. The decisions struck down mandatory life sentences for juveniles. 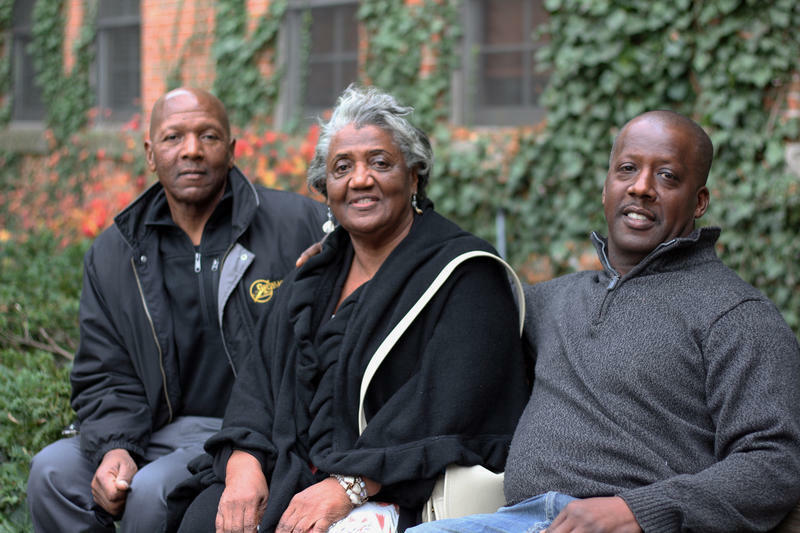 The lifers were convicted of murder and sentenced in the late 1980s and 1990s under a get-tough approach to juvenile crime. The laws were a response to a wave of violent crime that swept the state and the country. As this infographic shows, only Pennsylvania ranks higher than Michigan when it comes to handing out life sentences without the possibility for parole to juveniles. The U.S. Supreme Court says states have to review these sentences for all those who were convicted and sentenced as juveniles, and that "life without the possibility of parole" should only be reserved for "the rarest of juvenile offenders, those whose crimes reflect permanent incorrigibility." Click on the graphic to see more. Our conversation with Deborah LaBelle. She’s director of the Juvenile Life Without Parole Initiative with the ACLU. Earlier this year, the United States Supreme Court handed down a directive saying that all prisoners sentenced to life without parole for crimes committed as minors, the so-called “juvenile lifers,” should get the chance to have their sentences reconsidered. Some 360 Michigan inmates fall into this category. But so far, Michigan prosecutors have filed motions to uphold life without parole sentences in nearly 60 percent of these cases. Sixty percent certainly seems to be more than the “rarest” standard set forth by the Supreme Court, critics argue. Deborah LaBelle is Ann Arbor attorney leading the ACLU of Michigan's Juvenile Life Without Parole initiative. She says Michigan prosecutors are ignoring the Supreme Court. It's illegal to lock a juvenile up forever – unless they're a "rare exception"
When teenagers commit murder, you can’t treat them the same as adults. Legally, the U.S. Supreme Court says you can’t just throw teenagers in prison forever, with no chance at parole, except in very rare cases. Matt Landry was just 21 years old when he was shot and killed, execution style, in an abandoned house in Detroit. Doreen Landry, his mom, talked to WDIV about Landry’s killers. Michigan has 363 prisoners who have been sentenced to mandatory life without parole, the second most in the nation. Early in 2016, the Supreme Court ruled that all of these prisoners must have their sentences reconsidered. Currently, only a fraction of these cases have been reevaluated and resentenced. The process of resentencing these juvenile offenders requires much more than a simple file review and hearing. 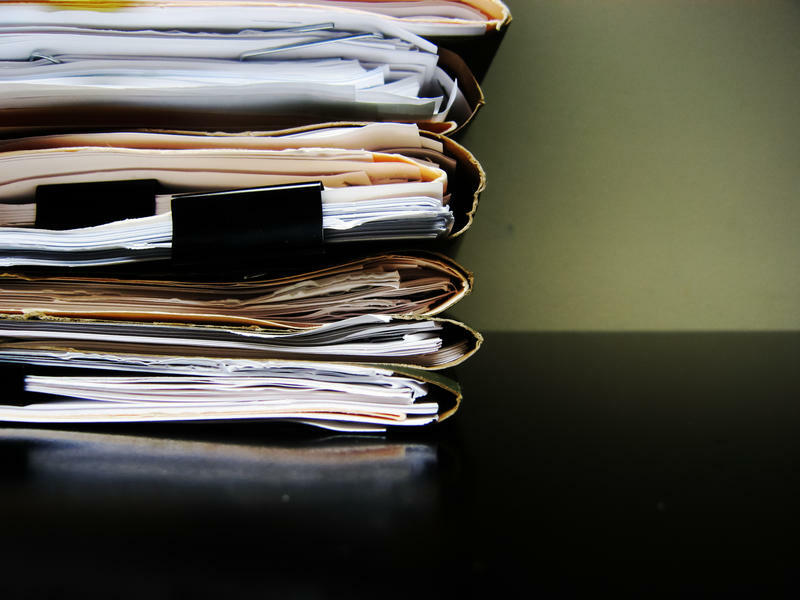 Many documents have to be organized and processed in order for attorneys and judges to properly evaluate each case. Court says life for juveniles should be rare. Longtime corrections official says that's about right. 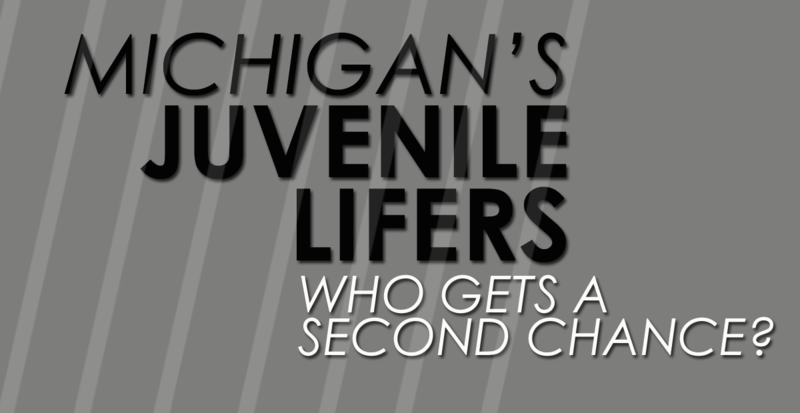 All this week, we’re looking at juvenile lifers in Michigan -- those inmates sentenced to mandatory life without the possibility of parole for crimes committed when they were minors. Michigan ranks second in the number of prisoners who fit this classification. 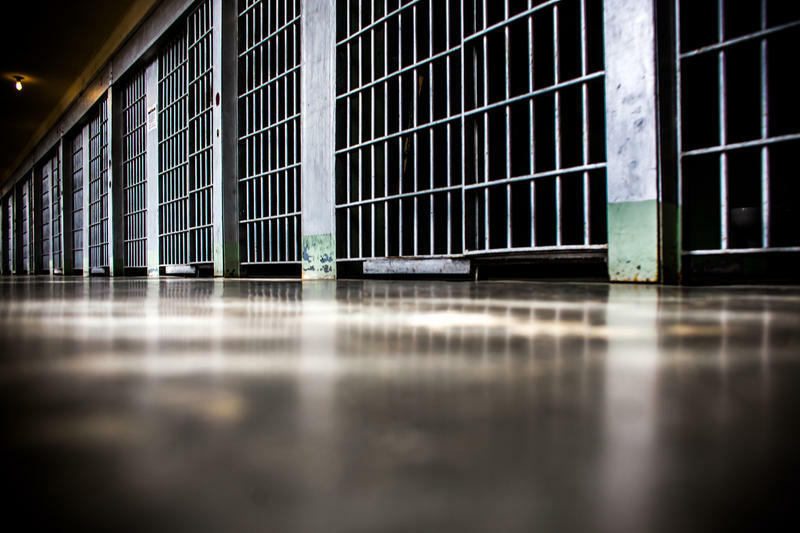 There are more than 360 juvenile lifers in Michigan, and a series of U.S. Supreme Court cases has meant that Michigan has to take a second look at the sentences these inmates were given. 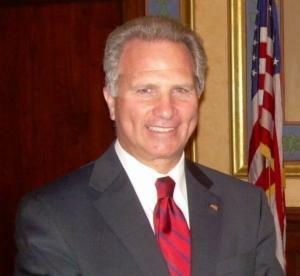 With all due respect to the U.S. Supreme Court, "you can’t factor out the victims"
Michigan prosecutors have come under national scrutiny for what critics have argued is an effort to ignore, or at least slowly comply with, the recent Supreme Court rulings that require all juveniles sentenced to mandatory life without parole to have their sentences reconsidered. We’ve heard from several people in favor of a review and resentencing in every juvenile lifer case, including ACLU attorney Deborah LaBelle, who’s been trying to get the state's prosecutors to do more with juvenile lifers. Judge or jury: Who should resentence juvenile lifers? The 2012 Supreme Court decision in Miller v. Alabama held that mandatory sentences of life without parole for juveniles were unconstitutional. The court’s 2016 decision in Montgomery v. Louisiana said the Miller decision was retroactive, meaning that everyone sentenced to life without parole as a juvenile is entitled to have their sentences reconsidered. In Wayne County juvenile lifer cases, questions about who gets a second chance, and why? Wayne County has more than 150 juveniles serving mandatory life-without-parole prison sentences. That’s by far the most in the state. And because of recent U.S. Supreme Court decisions, they all need to be re-sentenced. Wayne County Prosecutor Kym Worthy wants 67 of those people to stay behind bars for life. But a lot of people are wondering how she decided who deserves a second chance, and who doesn’t. Renard Johnson has been behind bars since he was 17 years old. 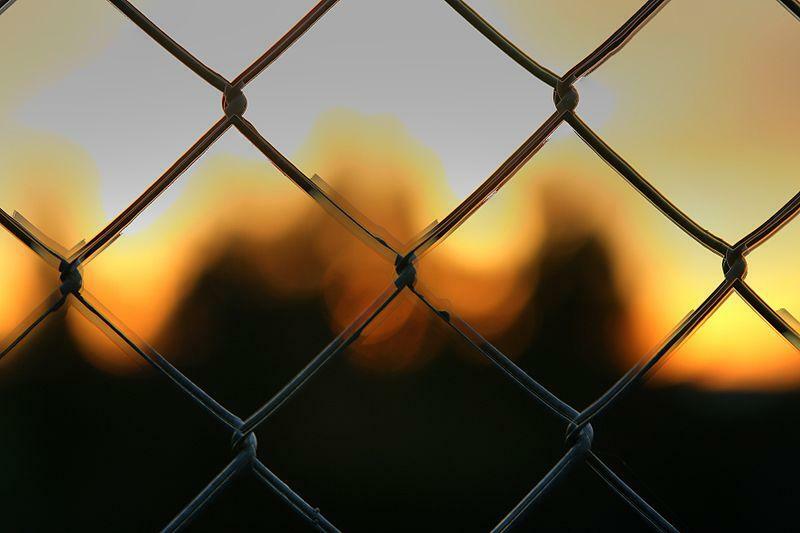 Earlier this year, the United States Supreme Court handed down a directive saying that all prisoners sentenced to life without parole for crimes committed as minors, so-called “juvenile lifers,” should get the chance to have their sentences reconsidered.